My last waterfalls trek was Tenubak Falls in Lebak, Sultan Kudarat back in 2010. (you can look at this video). It has a difficult and steep trail that I called the lesser than less travelled road to forever. But the truth was, there was no really trail at all, you actually have to make one to get through the riverbank where the water drops. And for the nth time, I was certain, adrenalin did wonder at that time. I survived but in between heaves and pants I vowed not to go back nor do this kind of trekking again, I swear! Pero di yata nadala, thought it's one of the wonders of human spirit, and here I am taking another road to chasing waterfalls again. But seeing the cleared pilot road to T’daan Kini, I figured this trek is nothing but a brisk walk up ahead. I’m relieved. 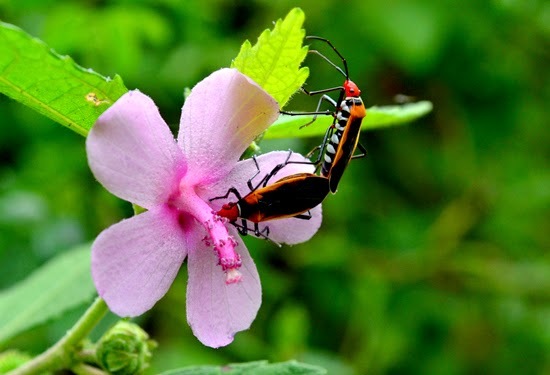 If you’ve been through strenuous mountaineering in the past, the guise of the scraped path to T’daan Falls is nothing but a good walk to stop and smell the flowers along the road. It took us a good 30 minutes to get to the falls. There were already people enjoying the water ahead of us and I figured they’re guests of the resorts from town. 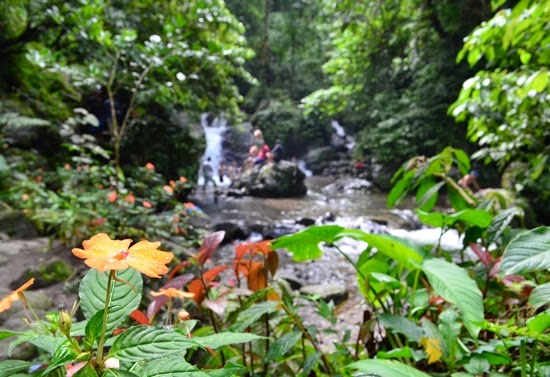 T’daan Kini falls is one of the many waterfalls in Lake Sebu, though a short one in terms of waterdrop, this waterway is a clean and live tributary that feed Lake Sebu and irrigates rice paddies down below. 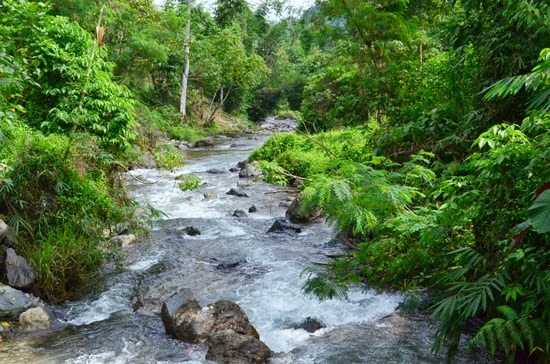 It’s unsoiled and living watercourse with a healthy bionetwork that sustains the everydayness of the stakeholders around. Though, there are threats – like ploughed corn fields above which can result to surface runoff and eventually siltation in the river in the long run and I understand this can’t be avoided as agriculture is the primary source of livelihood of the people here, but then there’s this resolve of political will by the local government to inform and perhaps propose alternative areas to be farmed. Because in the end, sustainable land management always work to the advantage of the farmers. Saw some plastic litters along the river bank, proof of increasing visitors in the area. Though they’re cognizant of the garbage issue, this is something the authority here should meticulously monitor. There’s no security issue in this place, the good Mayor assured it himself. 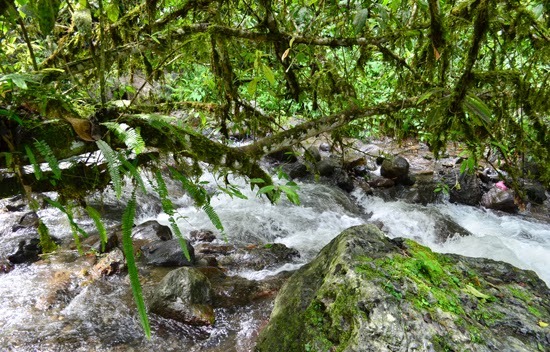 So if you want a slow and lingering trek, you can take this trail and enjoy the sounds and smell of nature along the way. Just the right trail to tone your muscles, burn calories, breathe, see and listen clean. 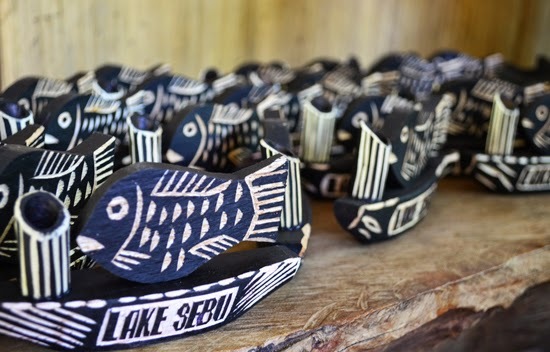 When we were on our way back to town, we passed by a hut that housed the carvers of these souvenir items in Lake Sebu. Selling souvenir items has now fast becoming one of the top livelihood income earners of the T’bolis here. What is amazing is that even with the presence of commercially available paints and glue in the city, which of course they can easily send off someone to purchase for them, they still use the traditional way of coloring and sticking things together. 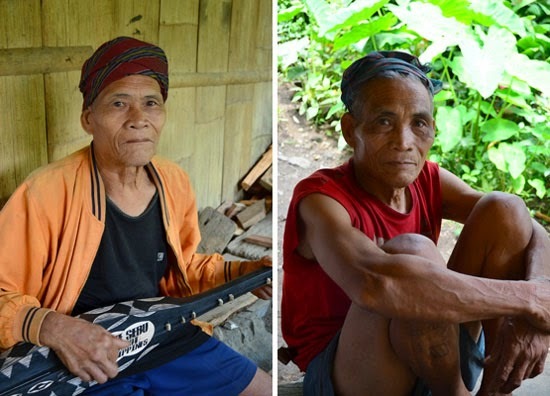 The Dasan brothers are two of the respected master carvers of Lake Sebu. Ana Dasan (in orange jacket) is also a master in playing Hegalong, a T'boli guitar. to color the wood, so ingenious. 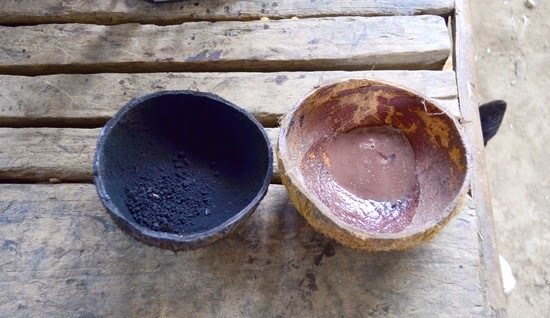 The brown fluid is Labul wood latex; they use it to stick the wood together. These souvenir items are all made with their humble hands, support them and buy the same when you happen to visit them. 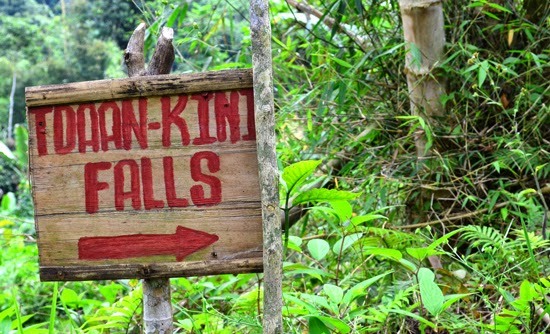 If you want to include T’daan Kini Falls in your itinerary when coming to Lake Sebu, coordinate with your hotel’s front desk for a guided trek and transportation arrangement and I recommend you get a local guide. You’ll not just be getting first hand info as they know the area so well; you’re also helping them make a living. Or you can drop by Lake Sebu Municipal Office for more information on how to get your trek started.